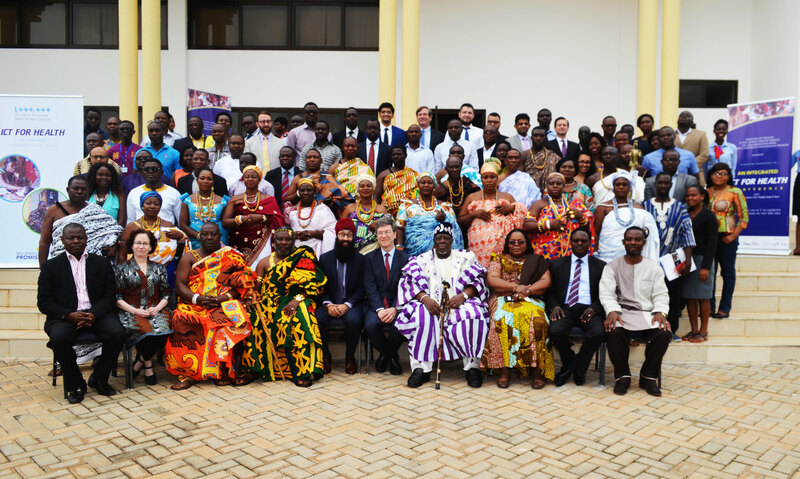 From June 27 – 29, experts in ICT and development from the US and Ghana gathered at the University of Ghana’s campus in Accra for the Campaign’s first conference on ICT for Health. The three days revolved around one primary question: how to develop an integrated ICT platform for improved health services in Ghana? The goal of the conference was to develop a roadmap for integrating Ghana’s numerous and fragmented ICT platforms and work towards creating an identification system that would assign a unique ID number to each Ghanian that could be used for health care, and potentially other uses. 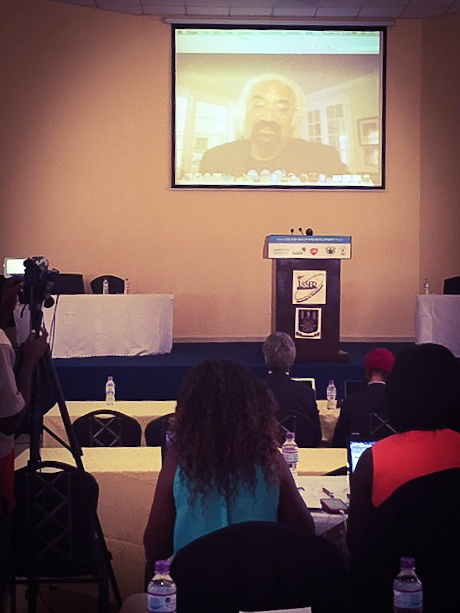 Dr. Sam Pitroda joined in via teleconference to talk about broadband and India’s experience with unique IDs. The first day was a pre-conference brainstorming session to chart the general direction of the conference and introduce the attendees – many who had experience creating unique health IDs – to the situation in Ghana. 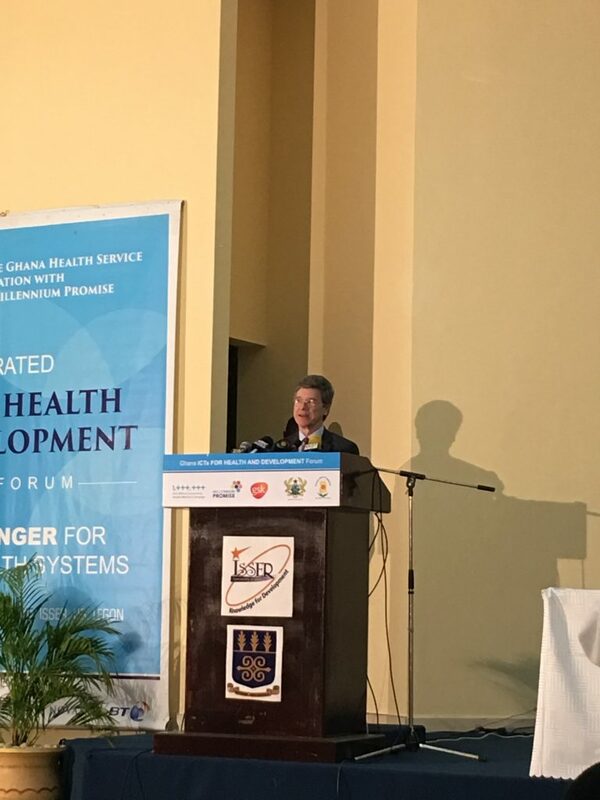 The session commenced with a panel featuring Professor Jeffrey Sachs, the Special Advisor to the UN Secretary General and Director of the Earth Institute and Dr. Afisah Zakariah, Chief Director of the Ghana Ministry of Health. Dr. Zakariah delivered the opening address and urged participants to fully commit to the project at hand by maximizing the resources provided. Professor Sachs outlined how the Sustainable Development Goals (SDGs) called for healthcare to be extended to a wide range of newly emerging disease around the world and emphasized the importance of tackling issues such as new coverage, new forms of training, new doctors and specialists, etc. Following the opening remarks, Chief Nathaniel Nsarko, Ghana Country Director for the 1mCHW Campaign led a session assessing the participants’ expectations for the upcoming 2-day conference. The pre-conference session also provided an opportunity for organisations like the Kuapa Kokoo Farmers’ Union (KKFU), the National Identification Authority (NIA), and Ghana Health Service (GHS) to present on their past attempts at creating unique IDs and what challenges they faced. Professor Sachs summed up the session with a lecture on the SDGs and Economic Growth in Africa. In attendance were His Excellency Mr. John Agyekum Kufuor, the Former President of Ghana and Professor Naa John S. Nabila, President of Ghana’s House of Chiefs. 1) IT governance systems need to be more defined for the health sector. 2) Leadership, training, and personnel are all important issues that need to be addressed for developing a function ICT system for healthcare. 3) The technological infrastructure in Ghana needs to be able to support the end goal of establishing an e-Health system. The conference discussion points and outcomes will inform the development of a roadmap that will later be presented to the government of Ghana, which will hopefully represent the next step in developing an ICT system for the country.